Amedee Bollee built a series of steam vehicles in the late 19th century. 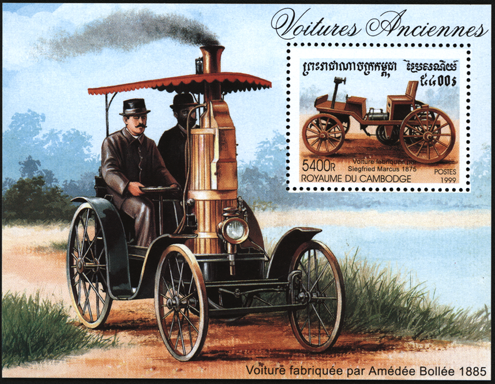 This souvenir sheet from Cambodia honors Amedee Bollee who built steam vehicles in the late 19th Century. It is Scotts # 1817. Contact us if you have additional information about Amedee Bollee or if you have questions.